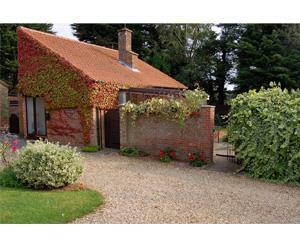 This light airy accommodation offers a pleasant base to explore the many places of interest that Norfolk offers. N/T and E/H properties, Castle Rising, Castle Acre, West Acre Theatre, Sandringham Estate, Walsingham Shrines, Historic King's Lynn and Peddars Way are all close by. Our glorious coast, nature reserves, wide open skies and rolling landscape, ancient churches, art galleries, pubs/restaurants, are all here to be enjoyed. The bungalow has two bedrooms, one with king size bed the other has two singles. Sitting/Dining room overlooking the garden. Well equipped kitchen includes washer/dryer, dish washer, fridge/freezer, and microwave. Bathroom has bath with shower over, heated towel rail and shaver point. Great Massingham is a very attractive village with an excellent public house and shop/post office. Linen and electric inclusive. No pets or smoking. Mallards is 9 miles from King's Lynn, Fakenham and Swaffham. Wedding venues nearby include, Knight's Hill, Skullthorpe Manor and many others. Cycle storage available. Peddars Way si very close by. Good walking area and for cycling. Children welcome from age 8. From King's Lynn A148 turn at sign for Great Massingham (approx 8 miles). From Norwich A1074 to Fakenham. Then A148 (towards King's Lynn) approx 8 miles. Nearest station is King's Lynn. Then bus 48 direct to Massingham. Nearest airport is Norwich.